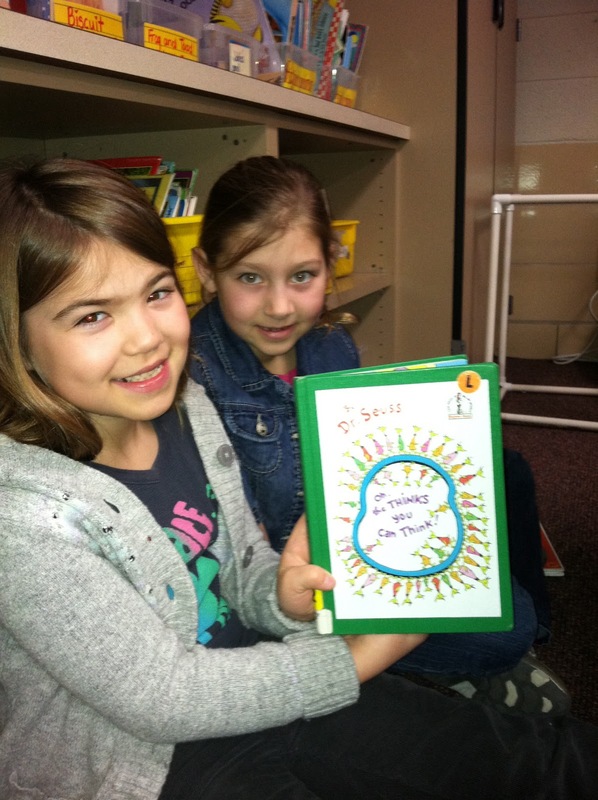 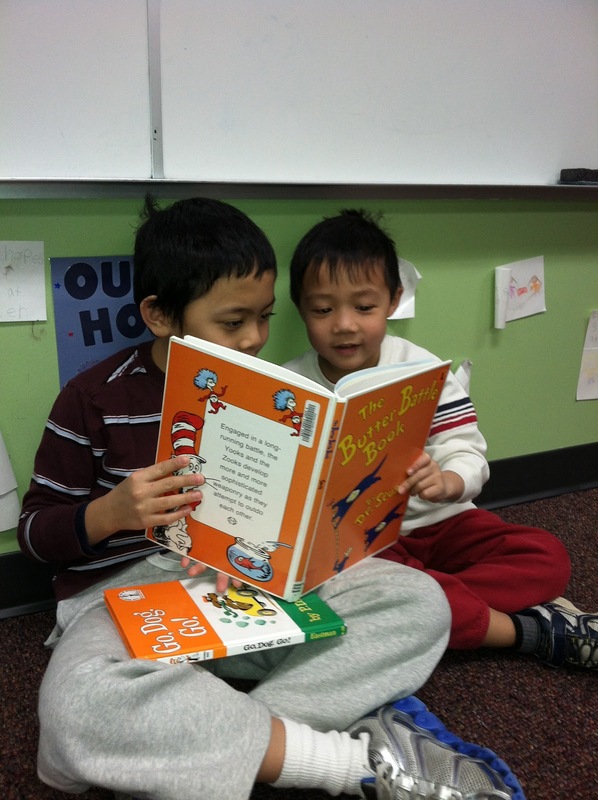 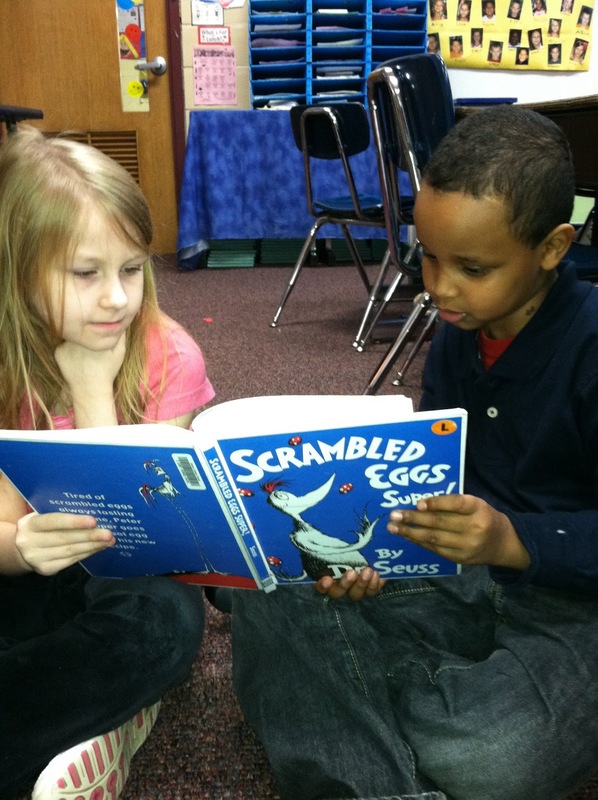 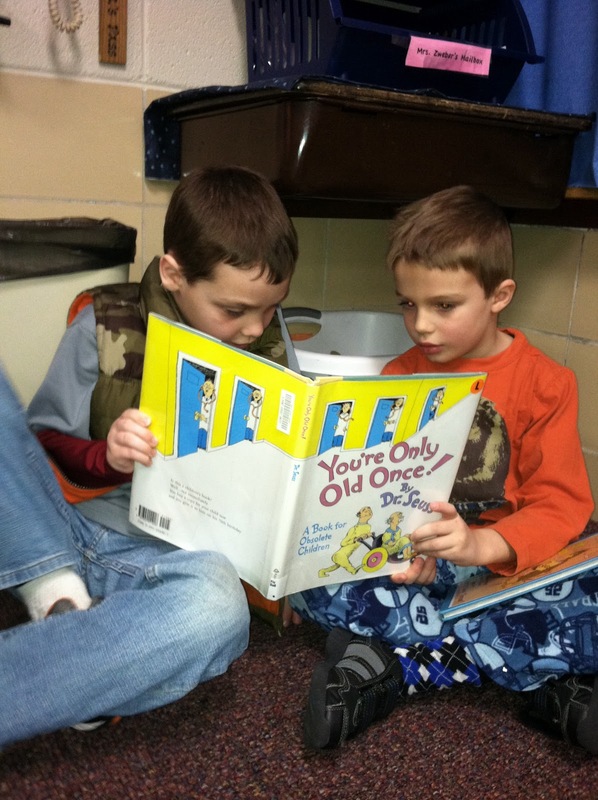 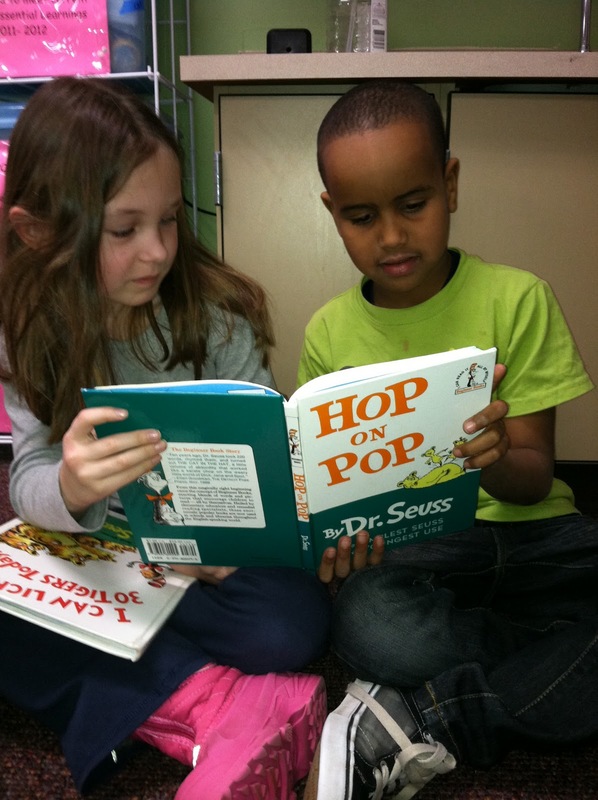 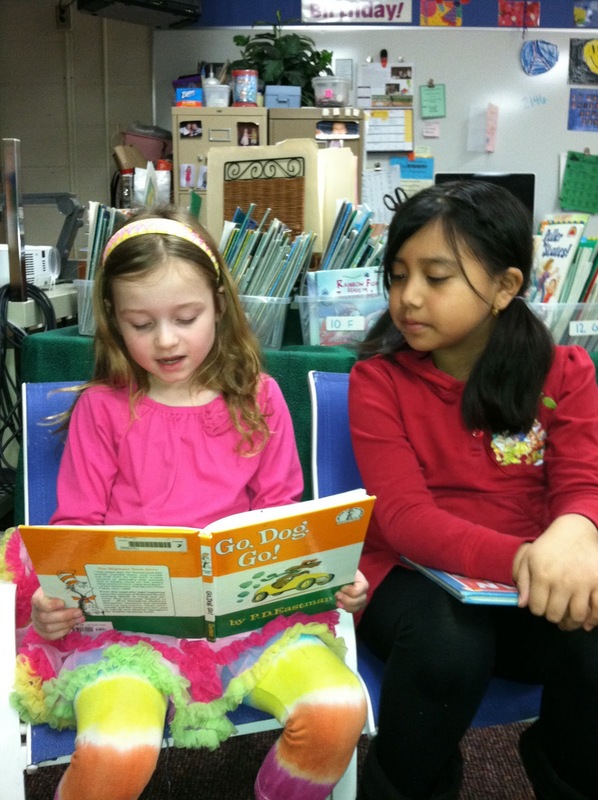 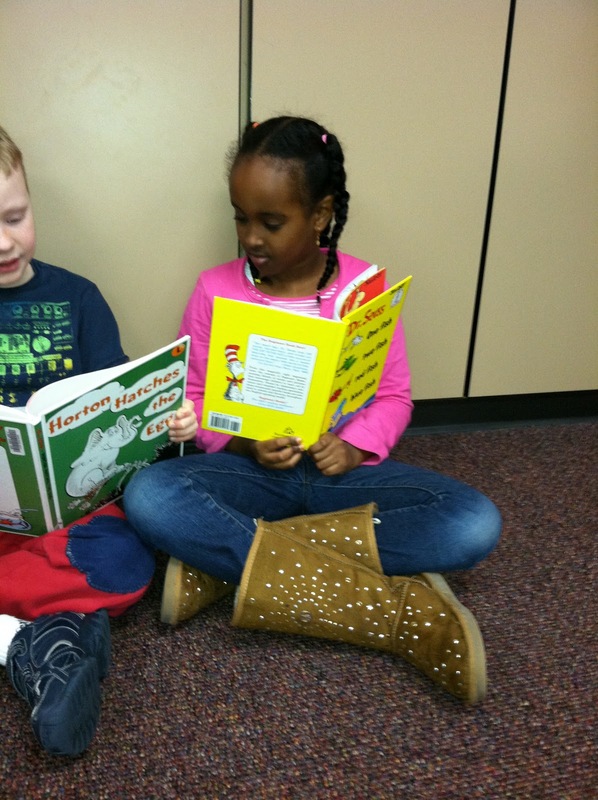 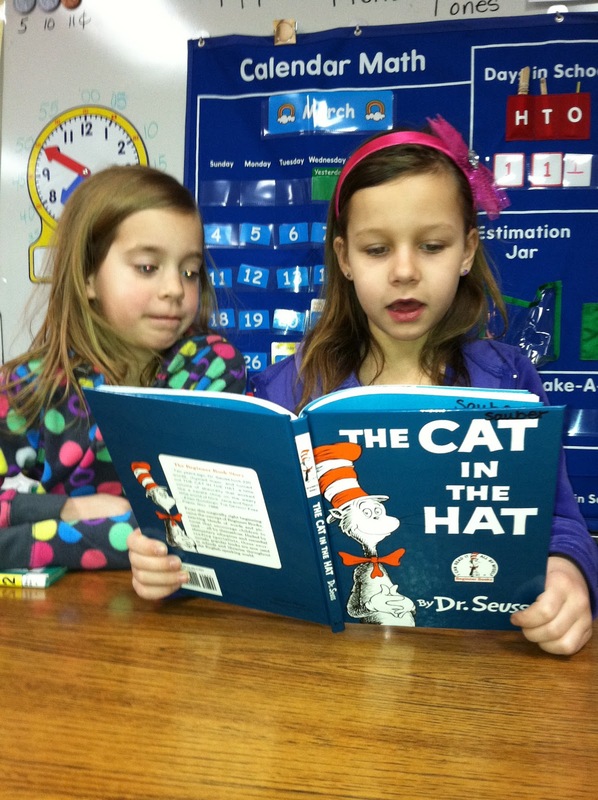 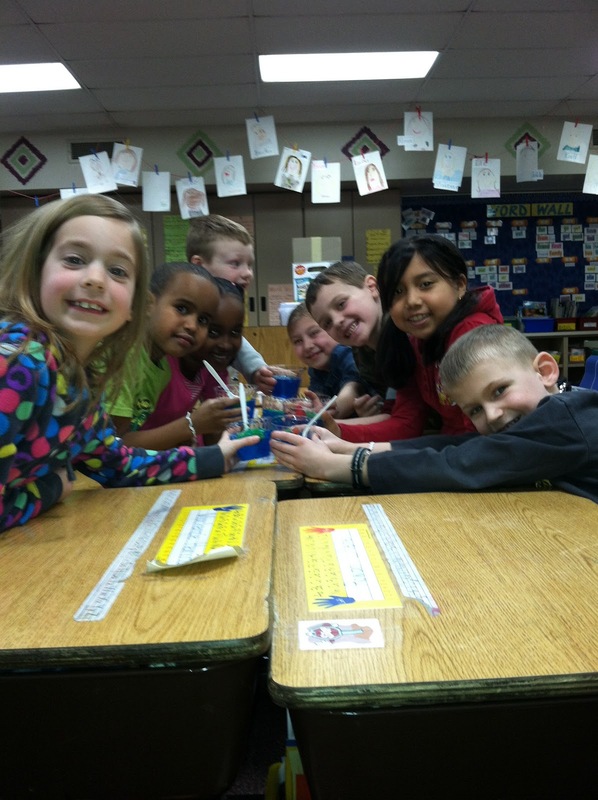 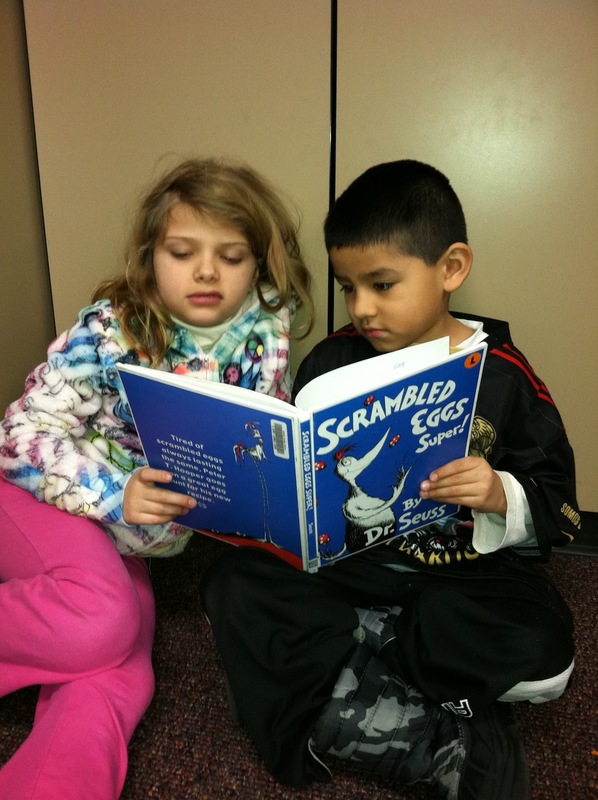 Together we celebrated Dr.Seuss' birthday by dedicating our literacy time to him this morning. 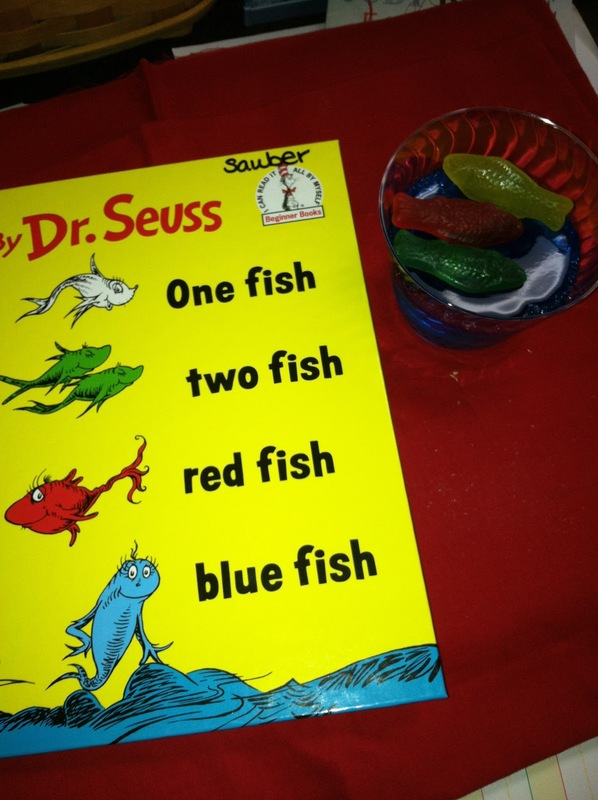 I read The Cat in the Hat and One Fish, Two Fish, Red Fish, Blue Fish to my first grade friends. 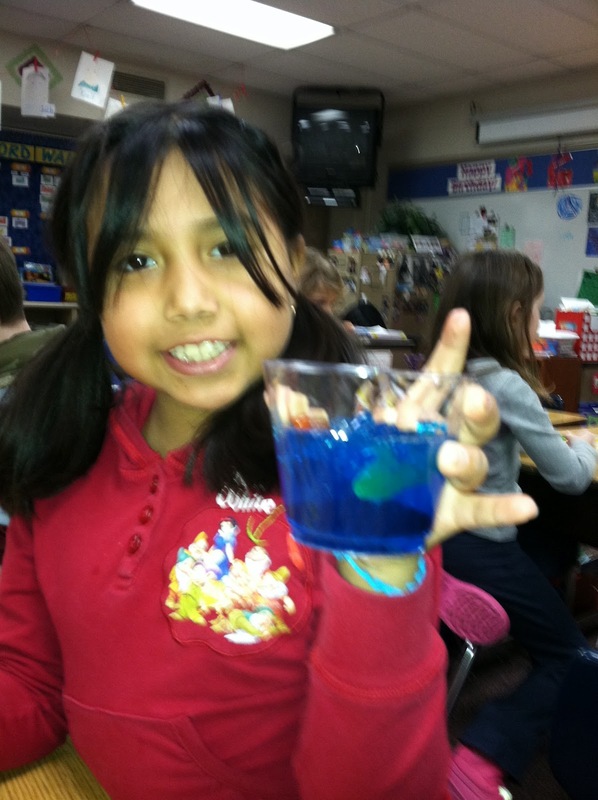 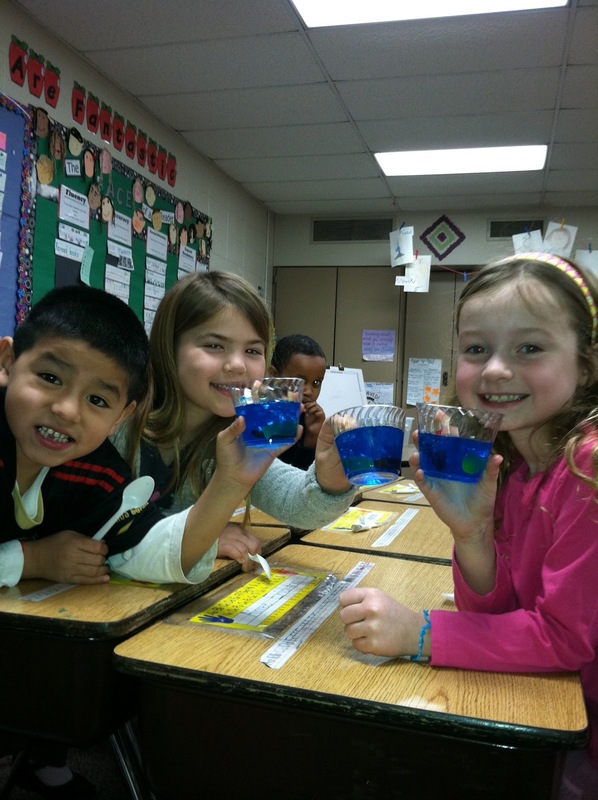 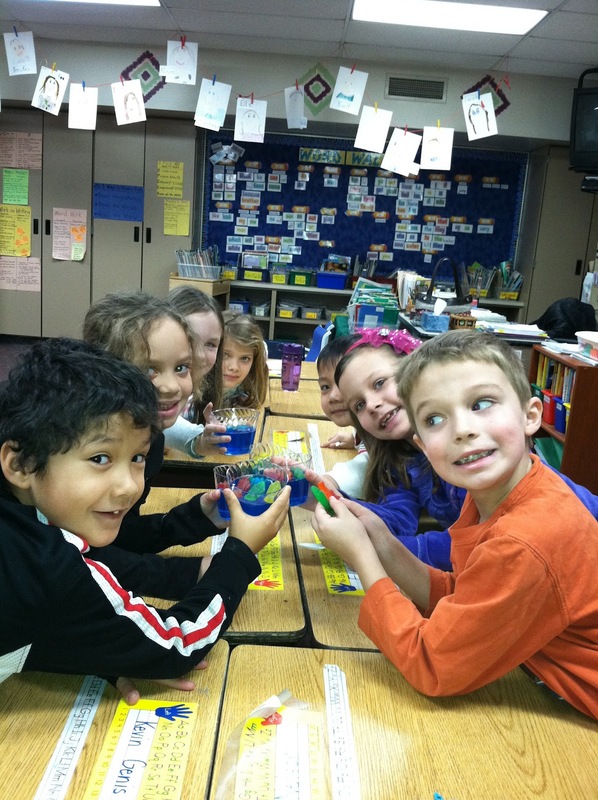 After we were done reading, discussing, and practicing our questioning skills we enjoyed a snack of blue jello (the water) and swedish fish (our red and blue fish). 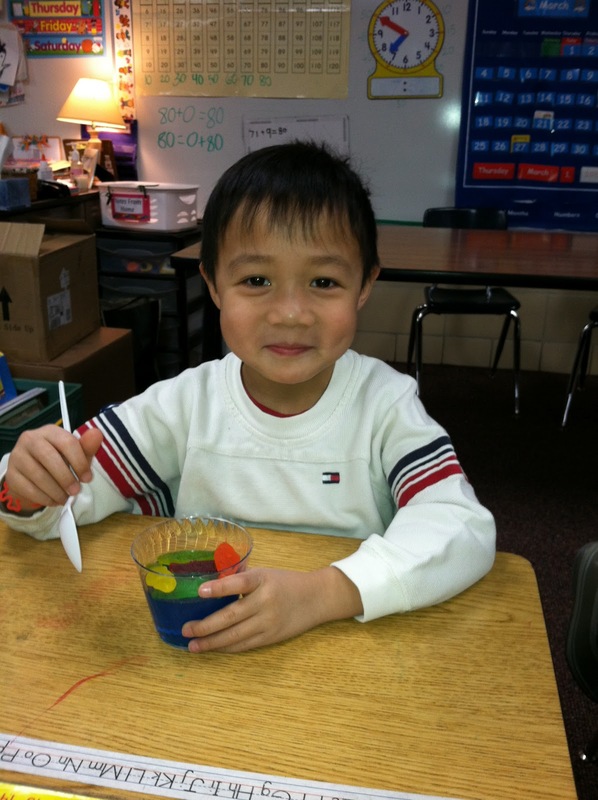 Thanks to Pinterest for the cute idea. 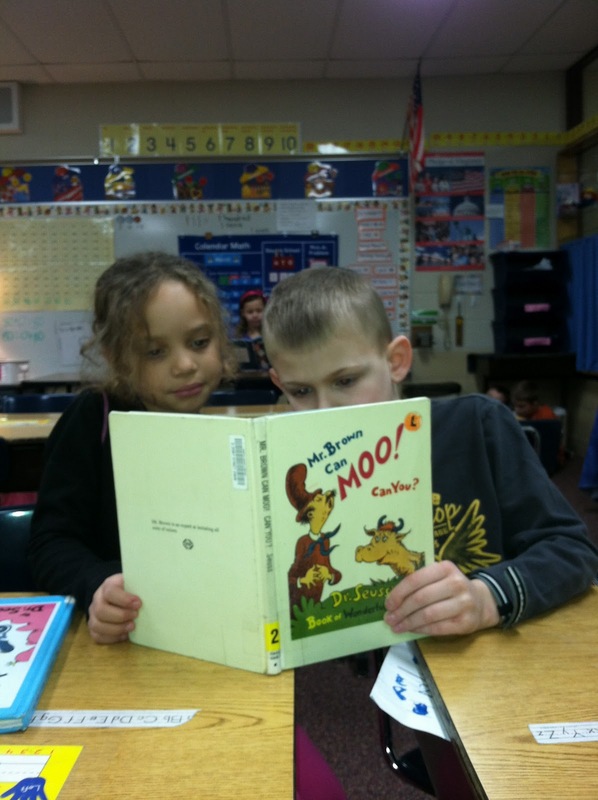 What Do You Think About Questions?